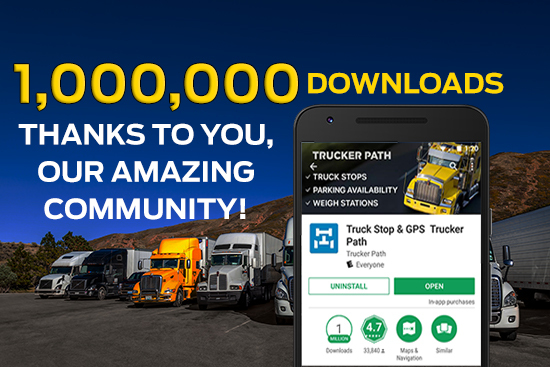 The Trucker Path community has rapidly expanded, now with over 1.5 million installs of the app and one million on Google Play. (MOUNTAIN VIEW, Calif., February 21, 2017) – Trucker Path, creators of America’s most popular trip planning app for truck drivers, announced today that the app has surpassed over 1.5 million installs and is the first in the trucking industry to reach over one million downloads on Google Play. Meanwhile, Trucker Path’s freight-matching marketplace Truckloads app has reached over 250,000 downloads. The milestone makes the Truckloads apps the most installed freight-matching app in the trucking industry. Additionally, Truckloads is the highest rated freight-matching mobile app in America, with an overall rating of 4.5 out of 5.0 stars while the Trucker Path app is the highest rated navigational mobile app for truck drivers with a rating of 4.7 stars via user’s Google Play reviews. Trucker Path features over 6,000 locations where drivers can find available truck parking in real-time by fellow drivers. The crowd-sourced app has over 400,000 monthly parking updates by users and allows a driver to filter parking searches with locations such as TA & Petro, Loves, Pilot & Flying J, independently owned truck stops, rest areas and even Walmarts that are verified to allow overnight truck parking. The app also lists a locations amenities, parking history and reviews from fellow drivers. Released to the public in March 2016, Truckloads is available to use for free on both mobile devices (Google Play and App Store) and the web. It provides a dynamic marketplace where over 80,000 qualified carriers search through two million loads per month posted by over 700 brokers. Carriers can enjoy several unique features in the app including unlimited access to premium loads, the ability to customize searches based on seven different factors, as well as view a broker’s credit score and days to pay while calling to inquire about a load directly from the app. Trucker Path is an all-encompassing ecosystem for the trucking industry. 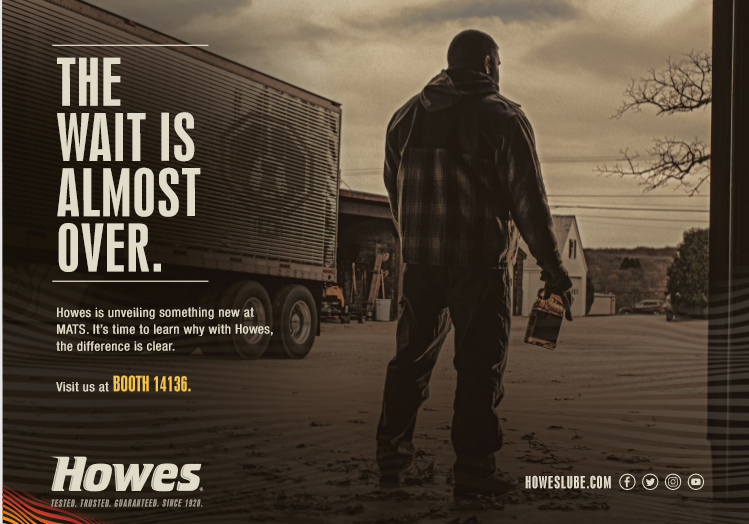 It simplifies the previously arduous process of finding and hauling truck freight by combining navigational assistance and trip planning in the Trucker Path app, allowing carriers with authority to book a load through Truckloads and receive immediate payment after with its freight factoring service InstaPay.